Is a Financial Wellness Plan Right for Your Company in 2019? One of your main goals as an HR manager or small business owner is to attract and retain your best employees. As healthcare costs continue to skyrocket, your employees are being forced to share more and more of that this expense. You will need figure out a way to help them with this added financial burden. 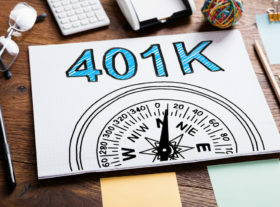 More and more companies are turning to financial education to help their employees better understand their finances and deal with not only these increased benefit expenses, but their own financial future. Financial wellbeing plans are now one of the common benefit programs that most employers are setting up to help educate their employees. The survey includes responses from nearly 800 decision makers for group insurance benefits at U.S. businesses with at least 100 full-time employees. One of the attractive features of these programs is flexibility. You have the control to offer as many of these educational programs as you want, based on the needs of your employees. You can setup online classes, one on one financial planning, group workshops, worksheets, templates, off-site seminars, counseling, and much more. 52 percent of workers overall are stressed about their finances. The younger the worker, the more likely they are worried: 64 percent of millennials said they are stressed about their finances. These numbers show us the effects of financial worry and stress on the workplace, as well as the opportunity all employers have to offer some form of assistance. And since most employees are concerned about their finances, a workplace-sponsored wellness program is a valuable benefit. The advantages and benefits of implementing a finance education program are clear. Employees without the distraction of financial worry will be more focused, less distracted, and more productive at work. From a cost/benefit perspective, adding another benefit program or mandatory course is not always the easiest thing to do. You and your employees are busy, and the program takes time and commitment to be successful. So, why should employees care? Why should they pay attention when you rollout your financial wellness plan? A comprehensive financial wellness program has the potential to deliver these benefits to your employees if it is designed and rolled out properly. It can be a win-win for both your company and your staff. However, there are some challenges and hurdles to be aware of before you decide to implement this benefit plan. Setting up a financial wellness plan takes time, resources, financial investment, and 100% support from upper management. If your company doesn’t have someone to take control and manage the program from start to finish, the plan will most likely not be a success. Another factor to consider is that your employees will most likely want tactical, one- on- one advice. However, it might be easier and more cost- effective to provide them with a strategic, one-size-fits-all model. The reality is that each of your employees will have different goals, and it is essential to consider the diversity of the circumstances. Employees who are in their 20’s may not think about investing for their retirement just yet. However, they are extremely concerned about paying off their student loans, mortgages, and car payments. Your employees in their 40s and 50s will have the exact opposite set of goals in mind. Diverse goals and needs are extremely important as you consider whether a financial wellness program is right for your company. There are a lot of factors to consider even before you decide to move forward with a finance education plan for your employees. First, survey your employees. Their wants and needs should be your guide as you design them a financial wellness plan. Keep in mind that employees may not be willing to disclose their personal financial information or goals with you, regardless of your intentions. Keep the questions open- ended with multiple answers. Also, make sure they know the survey is 100% confidential with the sole purpose of providing them with a financial education plan that suits their needs. Survey Question Example: (Question) I feel confident that my current retirement plan will provide my family with a comfortable living upon retirement. (Answers) (A) Very Confident (B) Somewhat Confident (C) Not very Confident (D) Not confident at all. Questions like these will help you prepare and implement the most thoughtful and beneficial financial wellness plan for your company. Unlike a lot of employee medical insurance plans, a cookie-cutter approach, will not work with a financial wellness and education program. To get you started, here is a sample financial wellness survey that you can offer your employees. Or, you can use it to create your very own. If you have any questions about creating a financial wellness plan or would like more information, please contact your benefit specialists at Benefit Administration Company here.